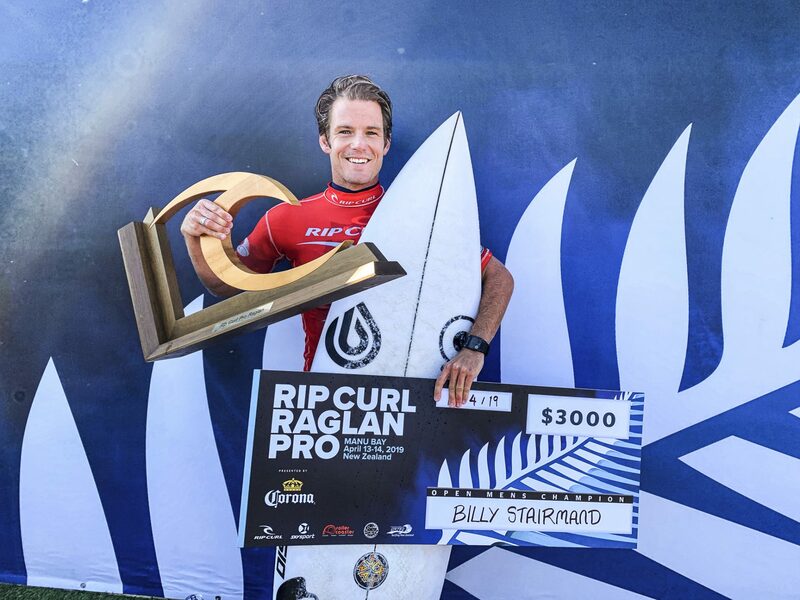 Raglan’s Billy Stairmand wins his third straight Rip Curl Pro title after blowing away a strong field of domestic surfers today at Manu Bay, Raglan. Stairmand was joined by Mount Maunganui surfer Raiha Ensor who claimed the women’s title. “Yeah, I keep saying it, but my equipment is so good at the moment and it just makes me comfortable when competing,” offered Stairmand afterward. 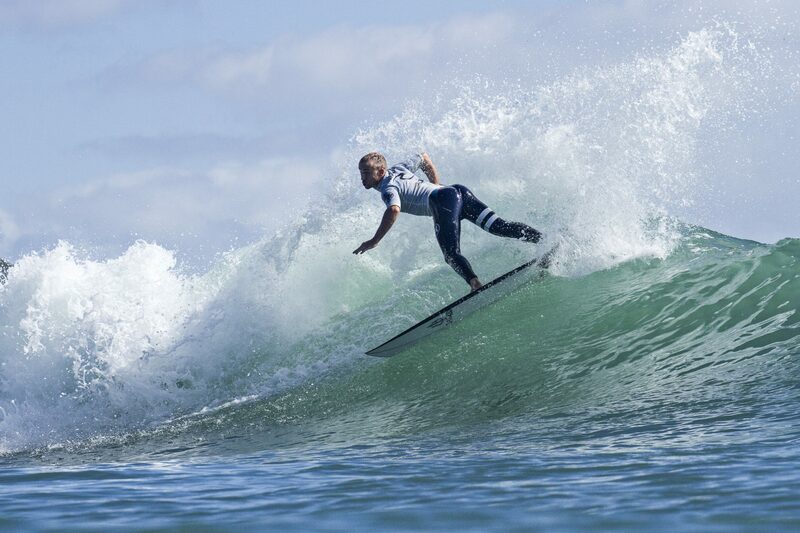 Sky Sport covered the event in its entirety this weekend and the event made history as the first New Zealand surfing event to be available through the TAB betting agency. Stairmand, a TAB favourite, held half of the top ten single-wave scores of the weekend showing his dominance, but he was also quick to mention his strategic approach to his heats. Cederman finished runner up on 13.93 points, unable to match the speed and flow of Stairmand who is the best part of 25kg lighter than the big goofy footer. However, Cederman managed to show glimpses of his brilliance and did enough to hold off Daniel Farr (Tara) who finished third in the final, one place better than 2018. The third local surfer in the final, local surfboard shaper, Luke Hughes, finished fourth. The Open Women’s Final was a much closer affair with Ensor getting the nod over Gisborne’s Saffi Vette 13.9 vs 13.47, the win coming down to a fall from rising star Vette as she pushed for the lead midway through the final with her progressive approach. However, for Ensor, the win had been a while coming and she had been taking inspiration from Stairmand in the build up to the event to help with her performances. “These events are good practice for the World Qualifying Series events and especially this one because it always has the hardest field of surfers. Getting to surf against the likes of Ella is awesome, because she isn’t always competing in New Zealand,” added Ensor. 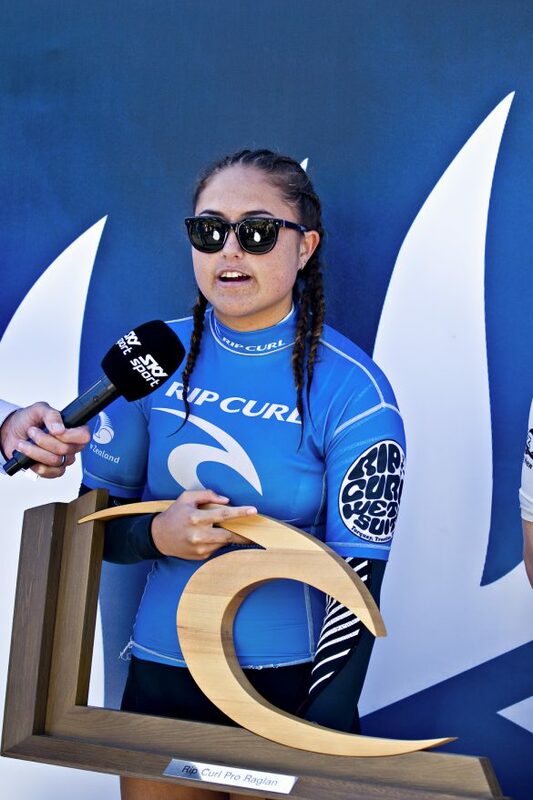 17-year-old Vette had to settle for runner-up for the second time this year after she surfed to the same result at the National Championships held in Taranaki during January. 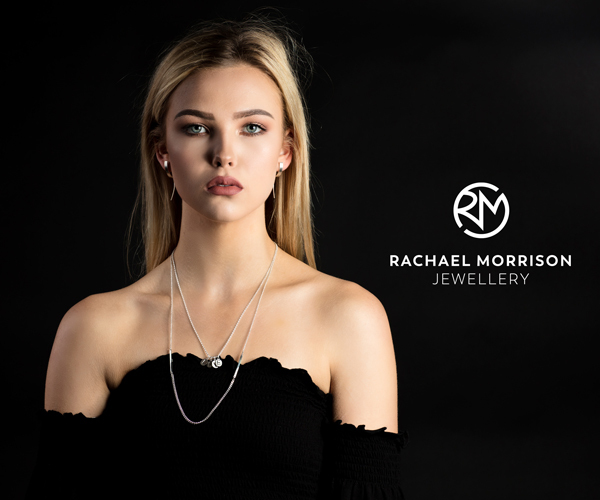 After spending much of summer competing in Australia, it was a welcome return to the domestic scene and a good performance for the young surfer on her backhand. Vette held off four-time defending champion Ella Williams (WGM) who finished third in the final ahead of Jessica Santorik (Rag) in fourth. The Rip Curl GromSearch Finals were claimed by replacement surfer Jack Lee (Whaka) and local surfer Brie Bennett. Lee dominated the boys final through to the dying stages when Whangarei’s Tom Robinson came back with a late wave that fell just short of the required score. Bennett, in contrast, secured her win on her last wave, a 5.3 point ride, which was enough for her to leap frog Estella Hungerford (Chch) for the win. 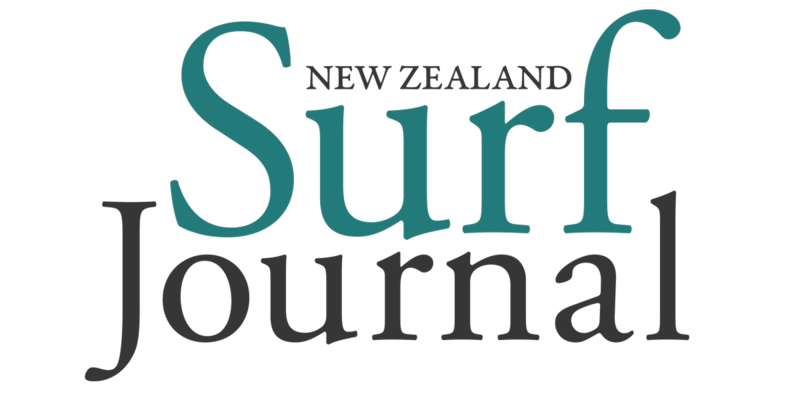 The Rip Curl Pro is the first of four straight legs of the New Zealand Surf Series with rankings set to change considerably over the next month after the series frequents Dunedin, Christchurch and then returns to Raglan. 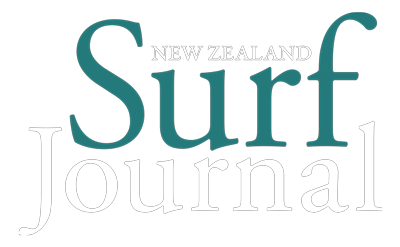 Stairmand and Ensor now lead the New Zealand Surf Series rankings after three of seven events this year.